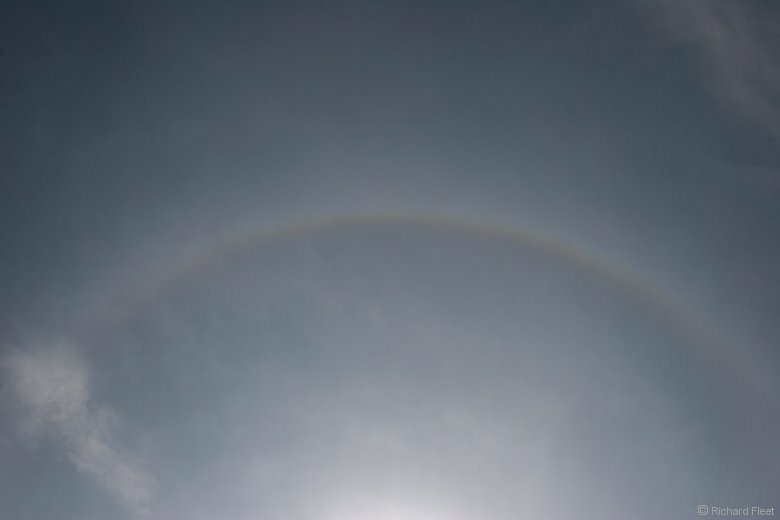 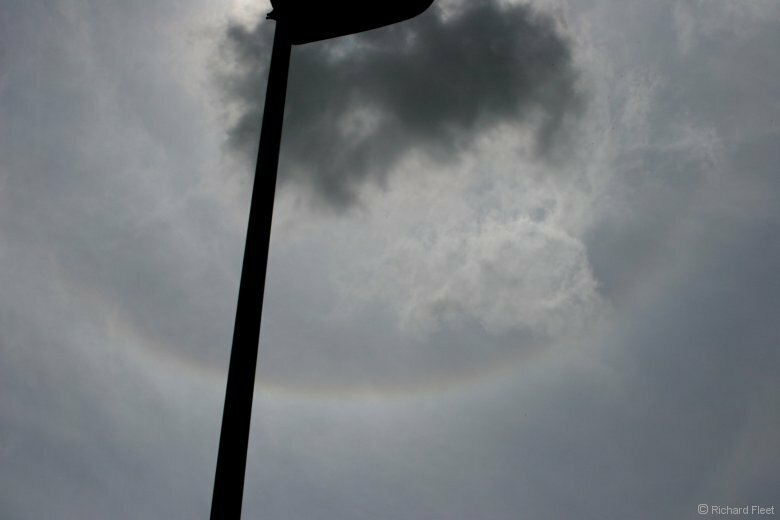 One of the more colourful haloes this year with the colour suggesting it was the upper tangent portion of a circumscribed halo. 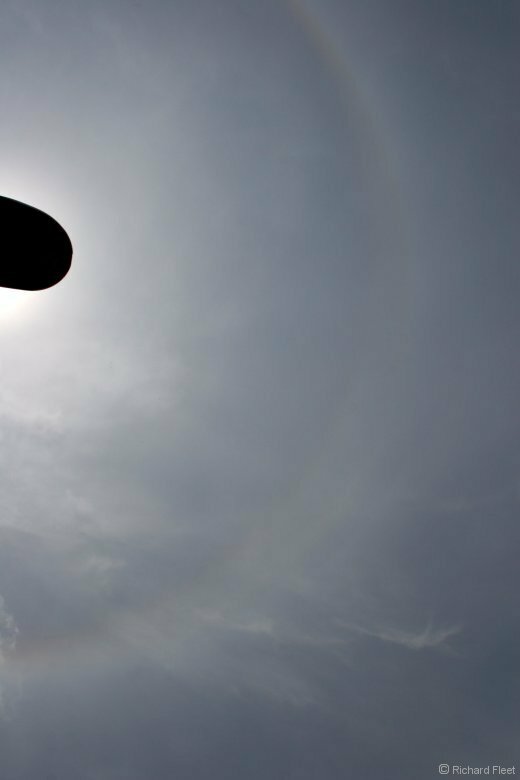 The sun was 62 degrees above the horizon. 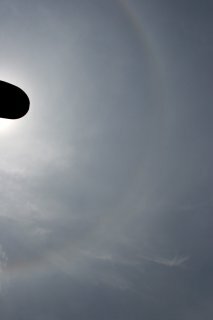 The circumscribed halo is clearly visible as an extra arc to the lower right, just outside the normal 22 degree halo. The full pair of haloes didn't last long and a few minutes later only this lower tangent arc was left.